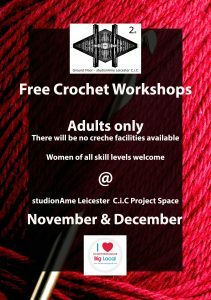 studionAme Leicester C.i.C is home to a number of talented and motivated creative practitioners who are engaged with the local community and the creative economy. Our Education & Outreach programme is run by Freelancers – Beth Fisher & Hannah Pillai. 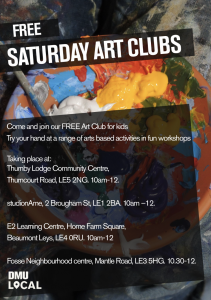 Working in partnership with the Founders and Directors, Beth and Hannah are accomplished freelance Arts Educators in their own right and are currently working on a long term strategy for the community. 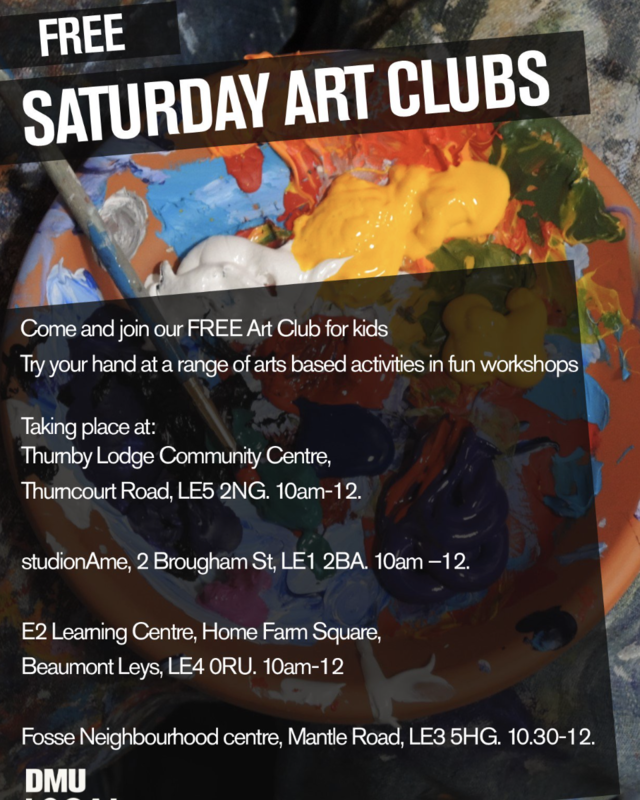 There are regular, free, creative workshops held in our project space and ongoing events including open call community art shows and related happenings. 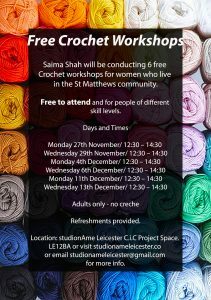 Fllowing on from our first St Matthews Community show, prize winner, Saima Shah will be giving 6 crochet workshops through November and December. Please see the attached fliers for more information. We would like to take this opportunity to thank our community partners at St Matthews Big Local for the help and support in making all this happen. 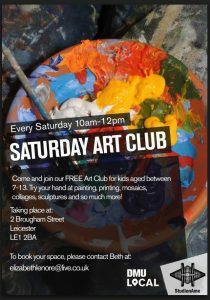 Join us every Saturday for the “art club” all children and parents welcome and completely free.